Archaeologists have discovered an ancient tomb. They pry open a passage and out comes a mummy. But it is not just a mummy, it's a multiplying mummy! 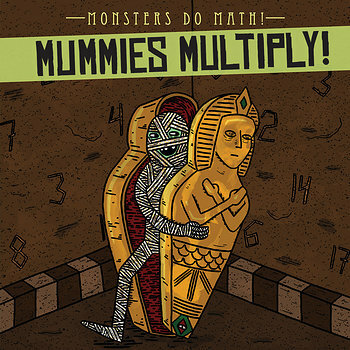 This entertaining yet educational volume uses beautifully illustrated mummies to teach young mathematicians about the fundamentals of multiplication, including skills highlighted in the Common Core. They'll also learn fun facts about mummies of ancient Egypt and other cultures. History and math collide in this "must have" for every elementary library collection or classroom.